A unique manufacturing collective is reporting a surge in orders from customers looking to ‘onshore’. The Manufacturing Assembly Network (MAN), which comprises eight sub-contract manufacturers and a specialist engineering design agency, has seen more than £1.5m of new contracts placed from firms keen to re-establish production in the UK. Whilst the drop in Sterling has improved competitiveness, the group believes the change in philosophy had started before the Brexit vote and there is a £multi-million pipeline of opportunities currently being discussed. 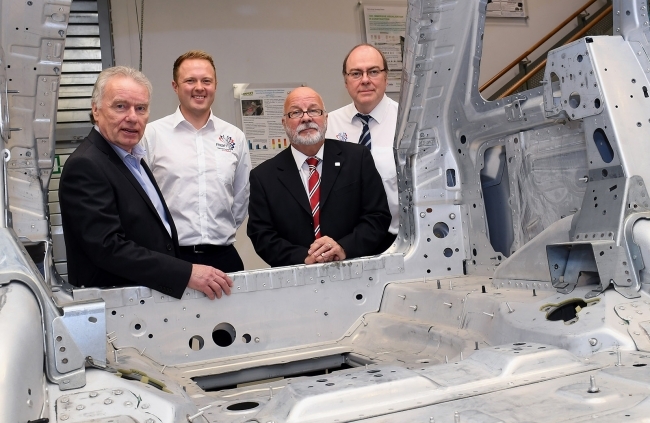 Four member companies – Alucast, Barkley Plastics, KimberMills International and Muller Holdings – have joined forces to capitalise on this trend by forming a Metal and Plastics Components cluster that will get its first public outing at Automechanika in Birmingham in June. The idea is to offer clients access to a complementary manufacturing service that reduces lead time, increases capacity and can solve complex production issues. A new brochure has been developed and a digital campaign launched to attract interest from clients in the UK and overseas. “Our cluster has experts in plastic injection, casting, forging and CNC machining, a single source solution for anyone looking for a plastic or metal component,” explained Larry Joyce, Chairman of KimberMills International. He continued: “These have come from customers in the automotive sector, oil and gas, rail and renewables. There seems a real desire to buy British due to our innovation, our track record and ‘security of supply’. Is the Brexit vote helping? Possibly, but the trend had started long before then. MAN’s Metal and Plastics Component cluster can lay claim to 450 skilled engineers between the four companies, working across nine UK factories and benefitting from £3m of annual investment in new machinery and technology. Customers can tap into the expertise of one, two or all members to support them with their outsourcing requirements, with the opportunity to also access the other five companies within the group to support with pressings, automation and control, fabrication, design and electronics. Matt Harwood, Business Development Manager at Barkley Plastics, added his support: “This is an exciting move and follows on from the launch of our dedicated outsourcing capability for OEMs last year. All four businesses have worked together on projects before and all boast high-profile contracts, including carrying out work for London 2012, the Winter Olympics, the Channel Tunnel and a host of the world’s car manufacturers. “Our marketing campaign is well underway and we are discussing the possibility of embarking on a cluster roadshow where we can demonstrate our capabilities at a potential customer’s site.